4 Office Gadgets For People Who Works At A Computer All Day Long - GoodGuysBlog.com - New, Technology, Marketing, Health and So on. When you all you do is sit on your station and work at your computer all day long without having fun makes your day dull and boring. Working all day long gives you lots of stress which makes you not to look forward to another day at the office. It’s the reason why it is very important to kill the stress inside your office or in the work you do. By adding cool, interesting, and exciting gadgets in your work desk, you can make your day less boring and monotonous. With these fun and quirky office gadgets, you will guarantee that you will never have a day where you hate going to work. 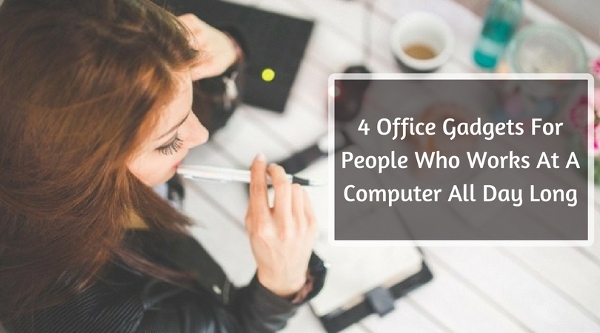 Of course, the workplace can be a gloomy and lifeless place, that is why we have listed four office gadgets for people who work at a computer all day long. They will surely help you have an exciting and productive work at your desk. By working all day, you tend to suppress the stress within you. Know that it is very unhealthy to keep all that stress inside your body. It can affect your productivity at work. One solution to relieve your stress at work is to have a desktop punching ball. You can place a desktop punching ball within your reach to relieve your stress instantly. This cool gadget is very durable that it bounces back every time you punch it. So we recommend to keep on punching it until you are calm. 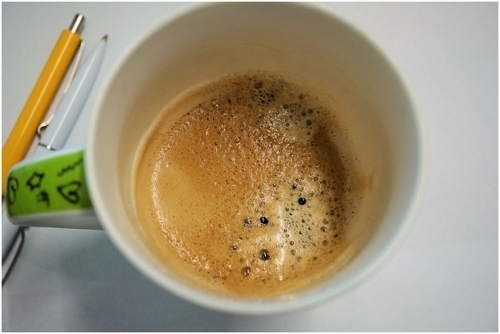 Nearly all office workers cannot do all their job without having a daily dose of coffee. Drinking coffee in between their work gives them the power or energy to accomplish all their tasks. But, during the time they are doing their jobs, they tend to leave their coffee behind, which becomes colder as it stays still in their desks. As such, they most likely drink it cold or take another minute of their time to reheat it. It is very stressful, right? For a quick solution, you can purchase a cup warmer. You can have warm coffee all day without any inconvenience. CableDrop or cable clips are small devices that hold cables and wires in place. According to some studies, a cluttered desk with disorganized cables and items can give more stress to the person working on such a station. But with the help of cable clips, the wires or cables will stay in place, offering you clean and neat working desk. As such, you can lessen the stress and boost more productivity in your work. Decision Card With Spinner: What’s for Lunch? Admit it, most of you are indecisive when it comes to deciding what to eat for lunch. 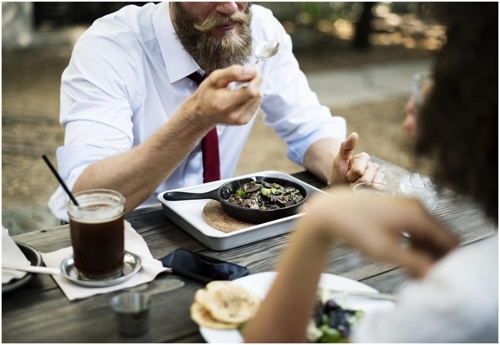 For instance, if your friend asks you what do you want to eat for lunch? Sometimes you tell them, “Whatever you want” or “ I am okay with anything.” And then you end up not eating. Sad. To help you prepare meals easier, What’s for lunch? Decision Card with Spinner is an ideal tool to purchase. When you are too exhausted to think of what to eat, this item will surely help you out. It has sixteen lunch choices, just tap the spinner and you’ll get the answer. You have had enough stress in your work life. It is time to change it by adding some cool and exciting gadgets in your workplace. You can go for Stress-Buster Desktop Punching Ball, Mug Warmers, Cable Clips or CableDrop, or Decision Card With Spinner: What’s for Lunch?. These items will surely beat the stress out of you and make your mundane day exciting. You can purchase these items at any online store such as DealWiki.